This range of Jewellery Safes from Chubb Safes, constructed with revolutionary lightweight barrier material, provide optimum protection for all your cherished items and other valuables. 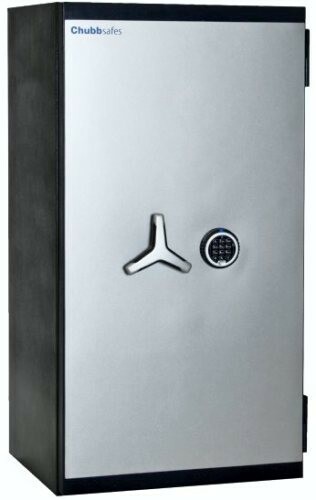 Available in a comprhensive range of sizes, this modern designed ProGuard safe provides a recommended cash rating of up to £35,000 to protect against thieves. Tested and certified to European Standard EN 1047 – 1 Class S 60 P, Grade 1 models offer 60 minute fire protection for documents.